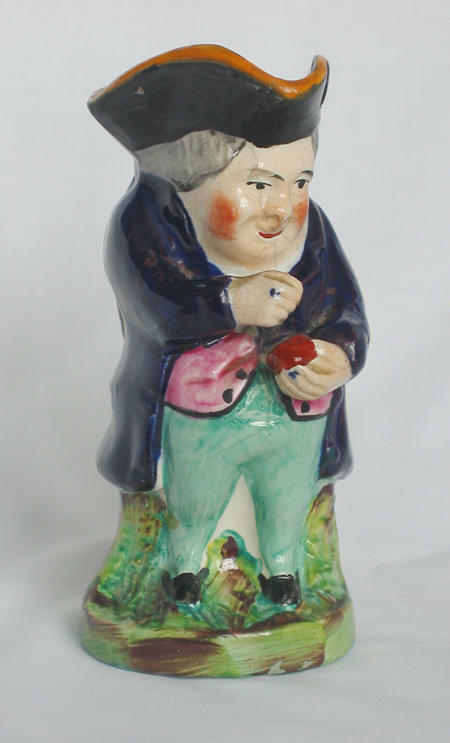 Snufftaker toby jug in cobalt blue coat and wearing tricorn hat, holding snuff box in left hand. 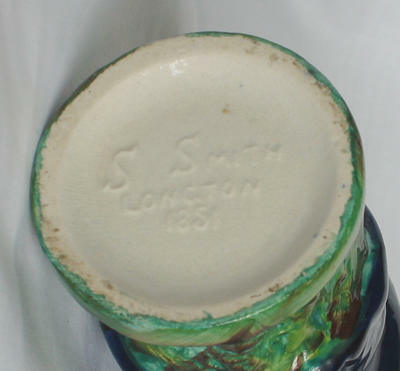 Base marked in raised letters "S SMITH LONGTON 1851". 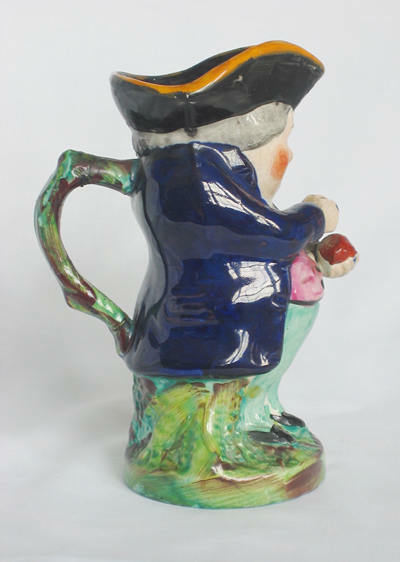 Size: Height 14 cm / 5½"
Toby jugs are very rarely signed. 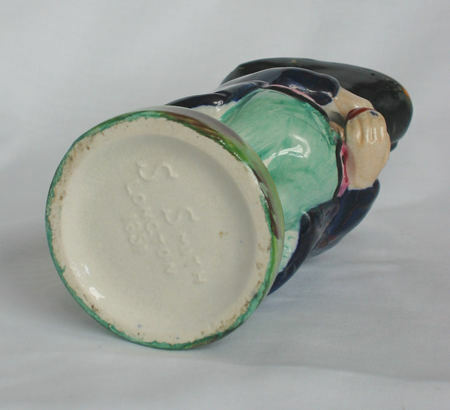 Sampson Smith began pottery production in 1846.